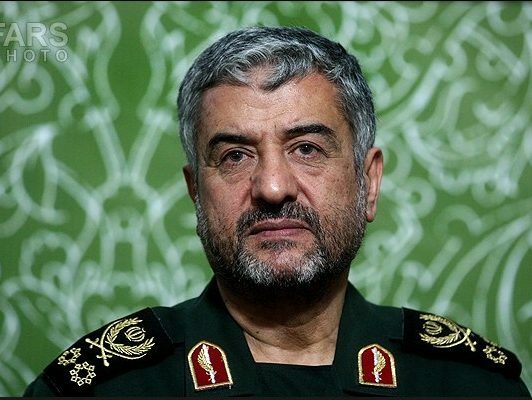 In separate messages on Tuesday, Major General Mohammad Ali Jafari paid gratitude to the Iranian officials and nation for their support for the IRGC against the US hostility and said the US move to blacklist the IRGC as a terrorist organization has its roots in Washington’s outrage at its chain defeats in the region. “The stupid and illegal move of the adventurist president of the US regime and his radical advisors to blacklist the IRGC as a terrorist organization is deeply rooted in the country’s outrage at their chain defeats in the region and the heavy blows that they have received from the popular military unit in Iran,” he was quoted as saying in a report by IRNA. The top commander went on to say that he feels duty-bound to pay tribute to the Iranian government and nation for their condemnation of the US satanic move. “Iranians from all walks of life including senior religious figures, military and government officials, political parties, scientific elites from universities and seminaries, all and all, unanimously condemned the US move and this unity is the key to the success of the Islamic Republic in its challenges against the enemies,” he noted. The military commander also said the enemies are desperately seeking to inflict a blow on Iran and said amid the current situation, the IRGC deems the public support of Iranian nation and government as a great capital. “The IRGC under the guidance of the leader of the Islamic Revolution and in line with the national security and our defence power promotion will give a due response to the enemies’ plots who sponsor violence and terrorism in the region,” he said. In response to the US president’s decision to blacklist the IRGC as a terrorist organization on April 9, Iranian Foreign Minister Mohammad Javad Zarif proposed that the country’s Supreme National Security Council (SNSC) should add American forces in West Asia, known as the United States Central Command (CENTCOM), to its list of terrorist groups in the Islamic Republic.